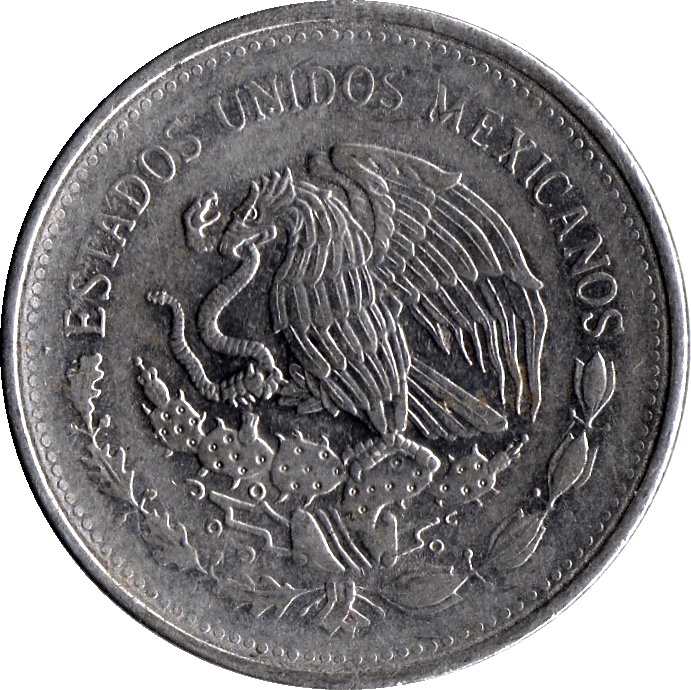 The national emblem of Mexico depicting a Mexican golden eagle perched on a prickly pear cactus devouring a snake above a half-wreath of oak and laurel below and the legend forming the upper semicircle. 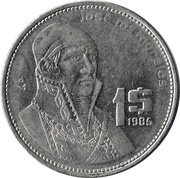 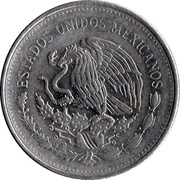 Bust of José Morelos in a general's uniform with the mint mark Ṁ to the left, the denomination 1$ to the right with the date below the $, and at the upper right, "josé mª morelos" along the border. 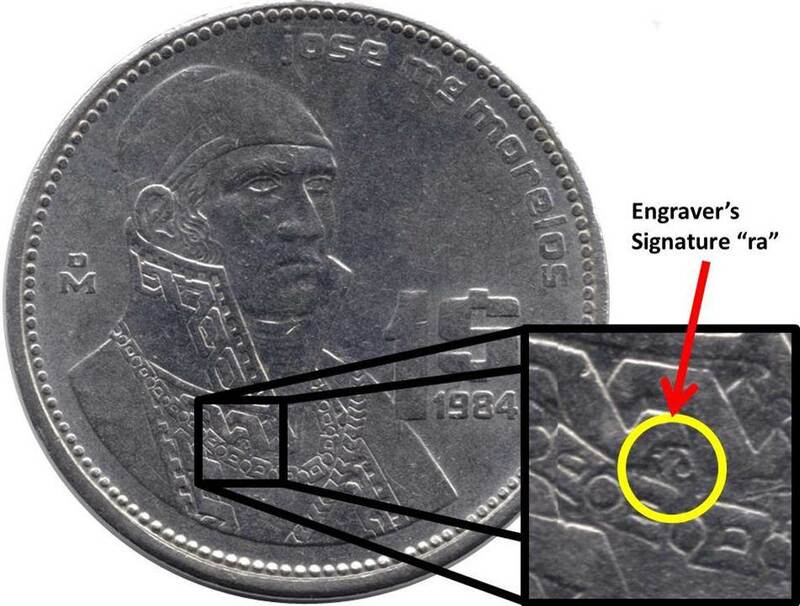 On some 1984-dated coins, the engraver's initials "ra" (Rodolfo Alvarado) appear under the lapel area, near the neck of the military coat of Morelos. 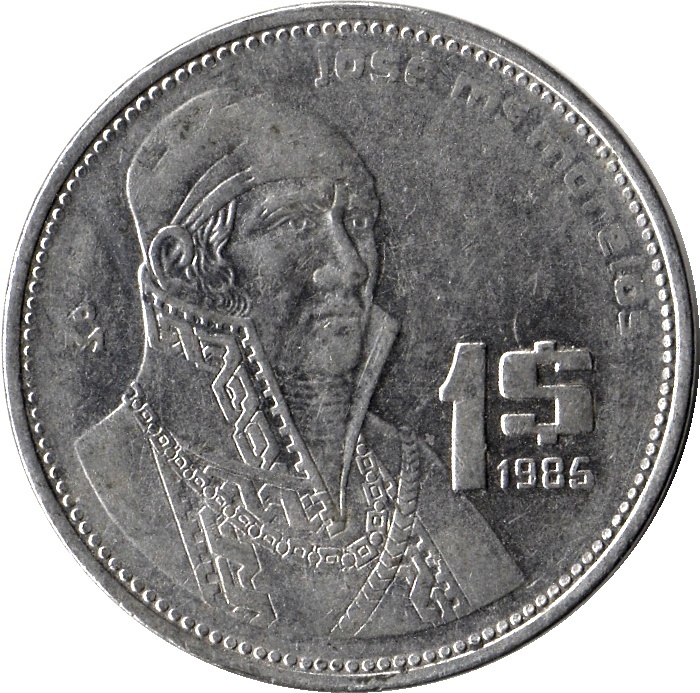 On the remaining 1984-dated coins, the area appears polished, indicating the initials were removed. 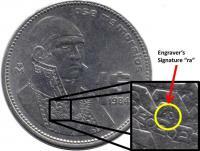 It is very rare to find a 1984-dated coin with a flat surface as on 1985-dated coins.